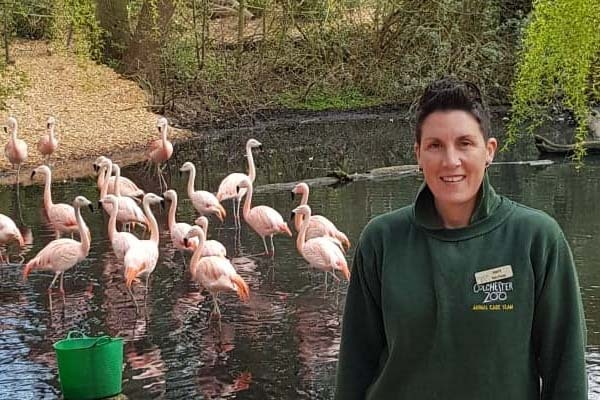 Head of Section, Angela Matthews, is off to South Africa to assist with a conservation programme for the Lesser flamingo. 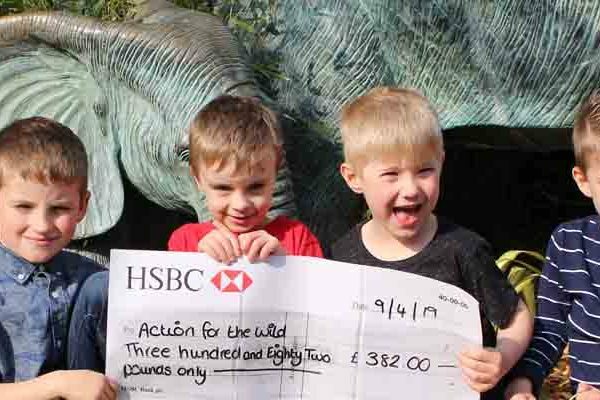 Supported by Colchester Zoo’s charity, Action for the Wild, Angela will be based at Lory Park to help feed, clean and support the general care of flamingos chicks that have been placed here due to drought at Kamfers dam. Kamfers dam in Kimberly, South Africa is the breeding ground for the Lesser flamingo, it is one of only 4 breeding grounds in the country and covers 400 hectares. Most years there can be 20,000 birds on the lake but there can be up to 50,000! The lake relies on Sol plaatjie municipality to top the water level up but unfortunately this hasn’t happened this year and the rain fall in the area has been particularly low resulting in low water levels in the lake. Sadly, this means there is not enough food on the lake for all the flamingos therefore the adult flamingos have had to leave their chicks behind to find another suitable lake for them to thrive from. Many organisations have come to the rescue of the chicks and together took in over 1000 chicks for hand rearing, with potentially more requiring help depending on the rainfall. A huge community effort took place to help rear the chicks, including working around the clock, collecting supplies, donating supplies and social media posting for support. The chicks were initially all in one place at SPCA but they were not large enough to assist the number of chicks which needed help at once. Once the flamingo chicks were stable enough, they were moved to various locations to continue with rearing but in a more manageable fashion. Upon hearing the need of aid for the Lesser flamingo, Angela contacted the head of the organisation supporting the project to volunteer some assistance. 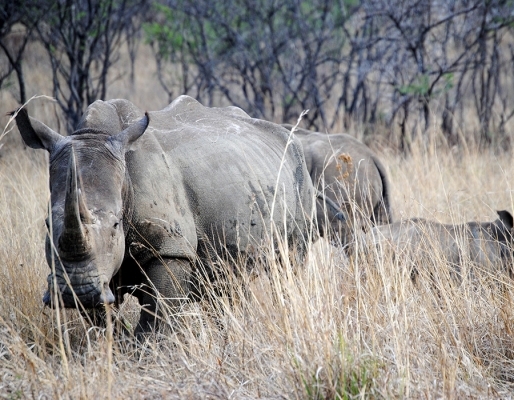 Action for the Wild has helped fund Angela’s trip to offer this vital help that the species needs. Whilst Angela is away she’ll be writing a blog on her experience and we will share this with you on her return so check back soon for more information. If you would like to help support this project as well as many other projects worldwide please visit www.actionforthewild.org for information on how to donate.